Lihi Segal is CEO and co-founder of DayTwo, a leader in the development of microbiome-based precision medicine, focusing on metabolic disease. For those of us who don't know, your gut microbiome is the collection of all the microbes (around 100 trillion) that exist in your digestive tract and help you digest food. Your microbiome is unique to you, and influences the way your body reacts to different foods. A study conducted in 2015 at the Weizmann Institute of Science in Israel and published in Cell was the catalyst that got Lihi into the field of personalized, microbiome-based diet solutions. The study, which for one week continuously monitored blood sugar levels in over a thousand people, revealed that the bodily response to foods was highly individual. Called the Personalized Nutrition Project, the study was led by Professors Eran Segal of the Computer Science and Applied Mathematics Department and Eran Elinav of the Immunology Department. They decided to look at why diets fail and why one person can eat, say, bread and another person can't. Segal and Elinav decided that perhaps the whole approach is wrong and instead of looking at the food, we need to look at the person. This led them to develop an algorithm that collects a person's health data and then predicts which foods and meals would be good for them and which would be bad, with "good" being a meal that doesn't spike blood sugar levels after eating it. What caught Lihi's attention was the ability of Segal and Elinav's technology to customize low blood sugar level diets for each individual, something very new in the nutrition realm, so her company licensed it. If she could help people avoid disease, and death, Lihi was in. Researchers at DayTwo then built a mathematical predictive model app that tells you how your blood sugar is going to respond to any meal you eat. Based on that model, they now can create customized diets for their clients so they can successfully avoid high blood sugar levels that cause energy dips, excessive hunger, weight gain and increased risk of obesity and diabetes. As part of their program, they also provide suggested meals, snacks and the services of a dietician. Your health to a very large extent stems from how your body processes food. The trillions of bacteria that live in your gut, which differ greatly from person to person, are part of how you uniquely respond to food. Different people have different blood sugar responses to the same foods, which is why it is essential to understand what your particular body needs—and to eat accordingly. “We have long wondered why one diet works for one person, but not another. Now, we are beginning to understand that how a person processes food depends upon that individual’s gut microbiome, immune system and the community of bacteria in the gut. Given these multiple factors, we are exploring ways to develop customized diets that will maintain wellness and prevent the development of disease." Nelson adds: "Glucose levels are abnormally high in patients with diabetes, and traditional interventions to control glucose levels have had limited benefit for them. These study results highlight the important role that personalized diets can play in maintaining better control over blood glucose levels and overall health." 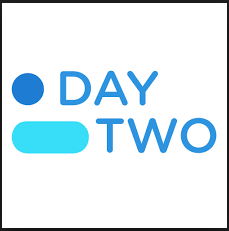 How do you get started with DayTwo? As Lihi tells us in the podcast, just go to DayTwo's website and order your home testing kit online, which contains everything you need. In addition, over 200 clinics in the U.S. have signed up with her program. Better health is actually attainable for all of us. Lihi Segal has over 20 years of experience leading business and financial operations, spanning Interoperability and Health Information Exchange (HIE), Population Management, Electronic Health Records and Analytics. Before launching DayTwo, Lihi was COO and CFO of Sisense, a leading provider of business intelligence and analytics software, and CFO of dbMotion Ltd. where she was instrumental in growing the company up until its acquisition by Allscripts Healthcare, a leading U.S. EMR company. Prior to that, Lihi held senior roles in a number of businesses, from startups to large public enterprises. She is also a lawyer with an LLB from Tel-Aviv University and an MBA from Northwestern University.